Delivery, Ulocks And Great Service. Playa Del Carmen bike rental continues to be the best way to get around and explore this exciting, booming Caribbean beach town in the heart of the Riviera Maya. Instead of crawling around in the crazy city traffic more and more locals and visitors of Playa Del Carmen are choosing to hop on beach cruisers and glide around town with a smile and get a little exercise. You can too. While other people are struggling to find a parking space you can arrive steps away from the white sand and turquoise water, lock your bike up securely with our Ulocks and enjoy your day at the beach. A Bike Hire-for my friends from England-is not only the funnest way to experience Playa Del Carmen. It’s way less expensive and annoying than using the taxis, who love to gouge foreigners with higher fares. You can ride past the Collectivo Vans and buses, with the warm sea breeze and sun on your face and watch the sweaty, uncomfortable people packed together like sardines. You can arrive quickly and easily at the market to put your fresh mangos and avacados in your basket, ring your bell and ride on to your next destination. The bike rental experts in Playa Del Carmen, Porto Morelos, Akumal, Puerto Aventuras and all over the Riviera Maya. Experience matters and Playa Del Carmen Bike Rentals has been serving the Riviera Maya since 2012. 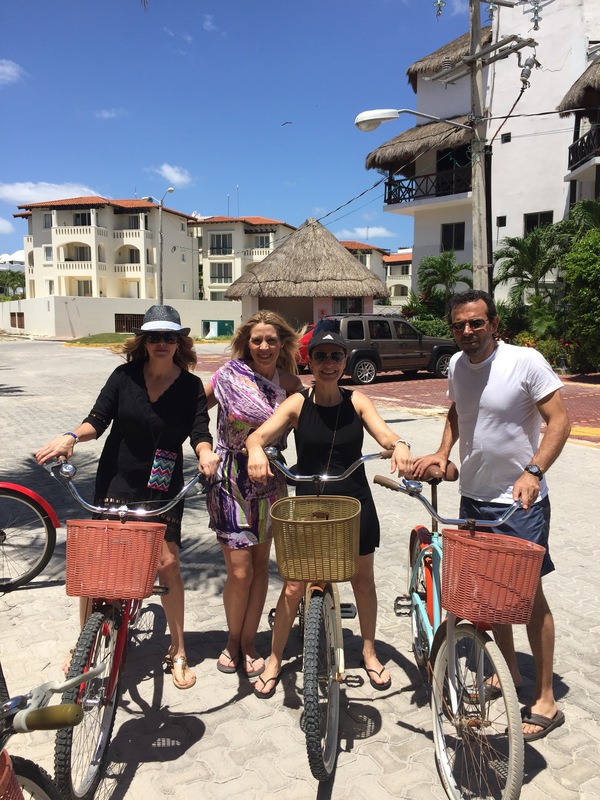 We have become Playa Del Carmen’s bike rental experts and our standard Beach Cruisers come with baskets, bells and Ulocks to eliminate all risk of theft. 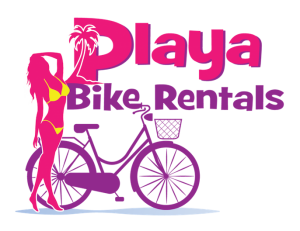 With Playa Bike Rentals you can count on well maintained, newer bikes and fast, friendly customer service. Contact us now to reserve bikes or for any questions about renting or buying bikes in Playa and the Mayan Riviera.